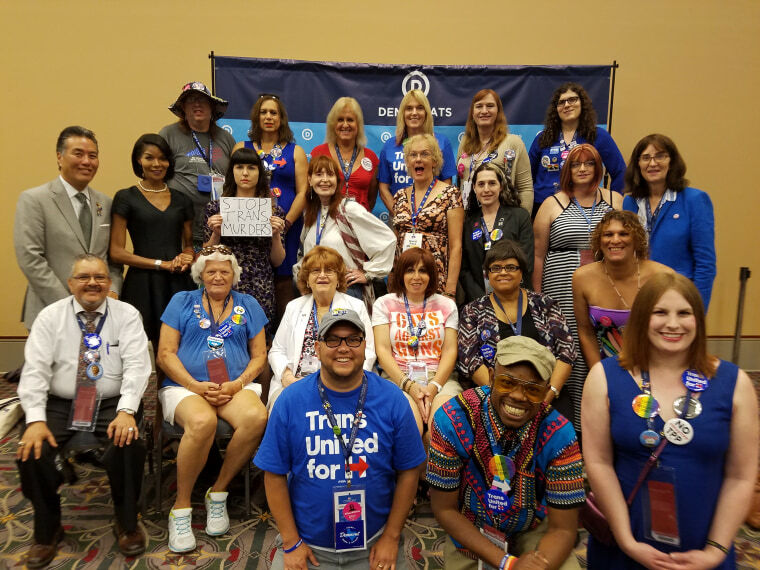 Twenty-seven transgender delegates met in the Pennsylvania Convention Center on Thursday, the last day of the Democratic National Convention. The size of this delegation has doubled since 2012, making this the largest gathering of trans delegates in history. The caucus meeting, led by D.C.-based transgender advocate Mara Keisling, highlighted the achievements of the trans community, including activist Sarah McBride speaking at the convention and the election of Dr. Rachel Levine, present at the meeting, as the current Pennsylvania Department of Health Physician General. Several delegates discussed current challenges for the caucus, including a lack of racial and class diversity inside the caucus itself. Merrick Moses, who identifies as an Afro-Latino trans man and is a delegate from Maryland, discussed the issue of financial obstacles to participation in party politics. “A lot of us live in states where gender protections are not in place and people are struggling to survive," Moses said. He noted it costs a significant amount of money to attend the convention and urged the caucus to think about developing funding streams to make the caucus more inclusive. During the meeting, San Francisco-based Democratic delegate Mia Satya held a sign demanding an end to the murder of trans women. She also called for a more intersectional understanding of LGBTQ politics, or the ways that racism, classism and transphobia come together in the lives of trans people. Lou Weaver, a delegate from Texas, was attending the convention for the first time. He is trans man working at Equality Texas, an organization that lobbies for LGBTQ equality and the election of pro-LGBTQ candidates. Weaver was moved by the growing visibility of LGBTQ people in national politics and at the convention. As the meeting concluded, the transgender delegates took their seats to participate in the DNC's LGBT Caucus meeting. Julie Moreau is a Post Doctoral Research Fellow in the Department of Women’s, Gender and Sexuality Studies at Washington University in St. Louis. She tweets at @JEMoreau.